Last week The Howard de Walden Estate gathered medical experts from across the industry for a one day conference to discuss the future challenges of healthcare in the UK and globally. 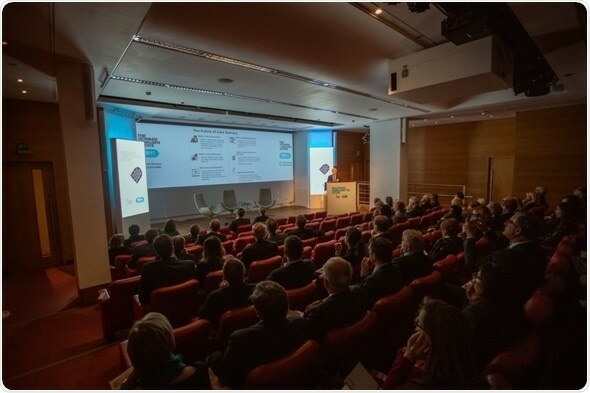 It was attended by 200 participants and was held at the Royal Society of Medicine. The event highlighted the advancements and opportunities that this fast evolving industry is presenting and the need for a collaborative approach across sectors in addressing key issues. Chaired by the well-respected professors from University College London, Lord Kakkar (professor of surgery) and Dame Jane Dacre (professor of medical education), the forum stimulated an engaging conversation covering the aging population’s impact on our health services and the increasing shortage of skilled staff. Other major themes outlined on the day included: accessibility of affordable good quality care, the need to divert resources to preventative care and the role technology and early diagnosis play as major drivers for change and efficiency. The Howard de Walden Estate (HDWE) is the guardian of the Harley Street Medical Area (HSMA) a collective of leading hospitals, clinics and medical specialists, with a world renowned reputation for delivering outstanding patient care, through pioneering treatments and cutting edge technology. The team of experts working across HSMA’s hospital and clinics seeks not only to practice medicine, but to advance it.